Saving money can be a challenge, especially for vacation rental property owners. But with recent technologies and Padre Island’s persistent quest to keep everyone operating efficiently… we have some great programs, systems, and ideas to help keep vacation rentals affordable. This helps both homeowners AND guests benefit from the savings! There is no question, the biggest energy user in most properties is the cooling and heating system, followed by lighting. Many of us have memories, distant and recent, of Mom following us around the house turning off lights to save on costs. Raising or lowering a thermostat and turning off lights does save energy; however, Mom is not always around to help out with switching things on and off as they need to be. Now, improved technologies are giving Mom (and the rest of us) a hand. 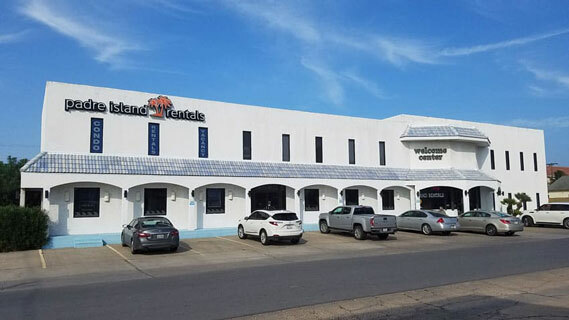 Padre Island Rentals is introducing its Remote Monitoring System and LED Transition Programs so that Mom can take a break and possibly hit the beach this year, and everyone can rest easy knowing money and resources are being saved. After a year of testing with two different companies, Padre Island Rentals is ready to include our owners into the Remote Monitoring System or RMS. In previous RMS testing, we have seen, on average, a 10% savings in electricity costs. Shared Access – All Padre Island Rentals employees and vendors have specific codes assigned to them, allowing the RMS to track all traffic in and out of a property. To achieve additional electrical savings, Padre Island Rentals has transitioned some properties to all LED lighting. The process included changing light bulbs and several light fixtures, including fluorescent lights. In some cases we added very attractive specialty fixtures, such as under cabinet lighting or art accent lights. As a result, we have seen about 11% savings in electricity just by transitioning to LED lighting. Participating in the Remote Monitoring System is easy. Call or email either Matthew Clinton or Tom Goodman and let them know you want to save energy in your property. The total cost for equipment installation and the first year of monitoring is $888. Padre Island Rentals will install the system and deduct $296 from monthly income payments to owners in June, July and August. The annual monitoring service after the first year is $240. If your average annual electric bill is $2000, a 10% savings would be $200. To participate in the LED Transition Program Padre Island Rentals will perform an assessment of your property and provide a bid to make the changes. We are seeing an average of 10% reduction in electricity costs with this program. However, the savings come with associated costs. There is a one-time charge of $648 to install the system and an annual monitoring fee of $240. Again, though, we have seen electrical savings of about 10% per year. Because the security of your vacation home is such an important issue, and the benefits of our program so significant, Padre Island Rentals is offering a special program to our owners. Padre Island Rentals will manage the installation today, pay the annual monitoring fee and deduct the cost from owner income in 3 equal payments of $296 over the upcoming peak summer months – June, July and August. Will I be given access to monitor what is happening at my property? While we will be happy to provide you with detailed logs of activity at your property, access to monitor activity live will not be granted to owners. If I decide to move to another rental agency can I take the equipment with me? Yes. While we can’t imagine why you would want to leave Padre Island Rentals the annual monitoring fee would end and the equipment could remain with the property. If you prefer to not keep the equipment, Padre Island Rentals will buy it back from you, less depreciation based on a five-year life. How is the monitoring fee charged and will I get a refund if not used? The monitoring fee is paid in advance. Padre Island Rentals will be happy to refund any unused portion of the monitoring fee. What system is Padre Island Rentals using? Point Central is the enterprise system Padre Island Rentals is using. Point Central hardware and software is backed by Alarm.com. How does the system communicate? Does it use the Wi-Fi in my property? The system does not use Wi-Fi. A “hub” is installed in a discrete location in your property which uses its own accelerometer, like a cell phone. The hub is usually placed behind a sofa, chair or table, next to an outlet where cell signals are sufficient to connect. The hub is approximately 7 inches square and less than 2 inches deep. Door locks, thermostats and other devices such as door and window sensors, not yet used by Padre Island Rentals, communicate with the hub. What happens if the power goes out? Will the door lock still work? The hub has a battery backup good for 24 hours should the power go out. Padre Island Rentals is also notified if loss of power at a property occurs. The door lock operates on 4 AA batteries, which need to be replaced about every 6 months. Door codes are stored in the door lock so if the hub loses power the property can still be accessed by code. Each door lock also uses a key, if necessary. Keys are securely stored at Padre Island Rentals. For more information contact Matthew Clinton or Tom Goodman at Padre Island Rentals.